It is quite clear that a lot has been done in Order to keep and promote Agriculture as the Back borne of Tanzania Economy (though others say it is an Irony) as such other saying "SIASA NI KILIMO" while others say "SIASA NA KILIMO" but still we find the sector overwhelming with so many challenges and every responsible player comment in inefficiency of the other stakeholders and this make others come with POLICY ADVOCACY issues for Agriculture sector as the one under BEST-AC Fund. However we see the challenges and the slow growth of the sector ( small holder farmers) as other challenges such as lack of enough access and INPUTS< LAND< MARKETS< and this are related to INEFFICIENCY ADVISORY SERVICES in the sector. There comes a sophisticated way for communication and connection as www.apf-tanzania.ning.com where as professionals, Researchers beneficiaries, partners, stakeholders, buyers, donors and Funders use and mostly we use ICT to communicate and submit our reports etc. #The Question is we ( PROFESSIONALS and FACILITATORS) have a lot of MEDIA ranges from Social Media, Websites and other printed materials are we REALY MAKE THE USE OF THEM? #YES it might be someones job in your Organization but do we HAVE THE SO CALLED a Communication for Connection " Do we really connect and maintain the contacts with the other parties and stakeholders include the one in related department in and Outside organization? 3. What might be the best way to use Online Forums and Social Media to communicate and Connect Professionals, Share best Practices, Innovation and other updates? Today, many NGOs and private agencies such as private commodity research institutes have their own extension staff/system delivering more effective and relevant service. Participatory research and use of expert farmers and farmer research groups promise to partially replace, complement, or at least relieve the conventional extension system. Agricultural extension services have been decentralized in order to have them well nested at the lowest level of government machinery. This is expected to make the services cost-effective and responsive to farmers' needs, while demanding accountability from extension staff and other collaborators. Public-funded extension service, which is facing many challenges, has a declining public support owing to financial crises; shift to private enterprises over government intervention as reflected in the structural adjustment program, and dissatisfaction with the perceived lack of impact by agricultural extension. Tanzania's main economic pillar is embedded in the agricultural sector, which supports over 33 million people and contributes 60% of the country's GDP and 61% of the export earnings and provides 84% of rural employment. The Tanzania Development Vision has set a target of achieving a level of general standards of living typical of medium-income countries by the year 2025. For the agricultural sector to fully contribute towards the sustainable development target, it should grow annually by 7%, implying more than doubling the current annual growth rate of 3.3%. Agricultural research has a major role to play in increasing productivity and profitability of the sector through development of scientific knowledge to generate improved technologies for the production systems. Agricultural extension complements this effort by transferring technologies developed by the NARS to the end-users. Information and Communication Technologies (ICTs) are crucial in facilitating communication and access to information for agricultural and rural development. 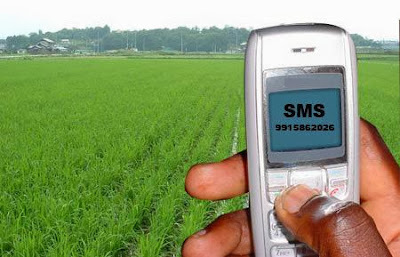 Since agriculture is the national priority sector, it is one of the potentially beneficial areas for the application of ICTs for economic transformation. Development of networks and use of low-cost ICTs enhance timely access to accurate and reliable information. It therefore calls for investment of part of the country's limited resources for ICT development.